Come join the Latina Princess for a makeover fit for royalty! Every guest gets a truly royal makeover including a chance to dress up in one of Party N Style's royal gowns, a regal hair style, finely polished fingernails and magnificent makeup. 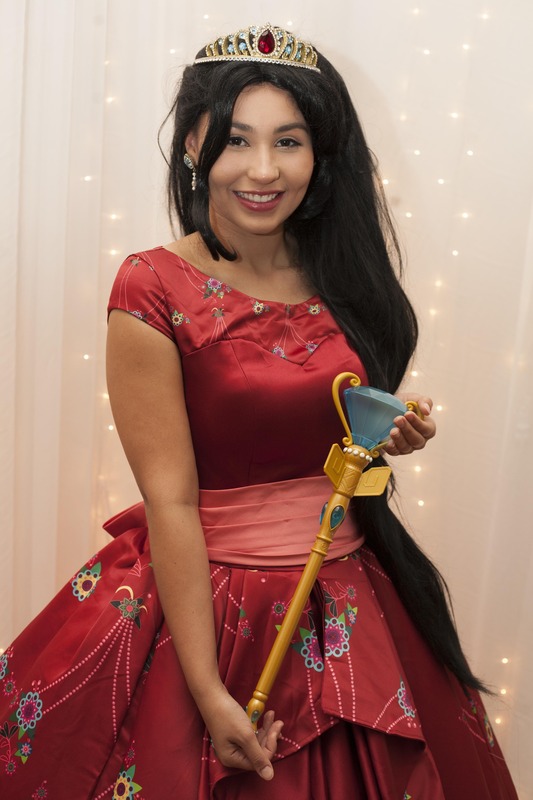 Then the Latina Princess will arrive once everyone is ready and host interactive story time and a sing and dance along, and will Meet and Greet with every royal guest and pose for royal portraits. This event is sure to have you feeling like a real princess! $30 for per princess (ages 2-12) with $15 due now at booking and the remaining $15 is due to the venue the day of the event when you check in. You are required to pay the full ticket price for each child participating in the event. Even if you do not intend to have a makeover, it is a package deal for the full experience. Accompanying parents are not required to purchase a ticket. Every child is required to RSVP by buying a ticket to the event. The remaining balance of $15 per child for the makeover is due to Party N Style the day of the event. Additional children require a new ticket each and would also owe the additional $15 per person the the venue the date of the event. Parents may drop off their little ones and enjoy a date night and pick them up at the conclusion of the event, or they are welcome to stay and watch the magic! The character will arrive approximately 1 Hour into the time block to give the princesses time to get the royal treatment. Photos are taken by our character attendant at every event and will eventually be posted on our website for your viewing pleasure and to purchase if you would like. You are more than welcome to take as many photos of your own as you wish, as Dreams Come True Entertainment takes photos primarily for quality control and our archives. If you do not wish for your child to be photographed, just let our character attendant know.